Mannequins are forever popular and a great opportunity to spotlight new fashions in an easy-to-visualise and eye-catching way. In recognition of this, Shopfitting Warehouse has added two new and exclusive sitting baby mannequins to their already very successful Child range. These cute new ‘Babba’ figures are made from practical, 100% recycled eco-plastic. 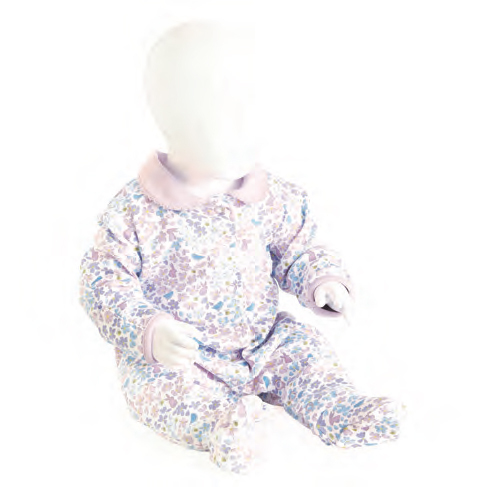 They come in a choice of gloss black or white which sits nicely alongside the existing Child mannequin range. Each are offered in a contemporary ‘faceless’ design, for extra convenience while giving a helpful option to generic, unisex display. 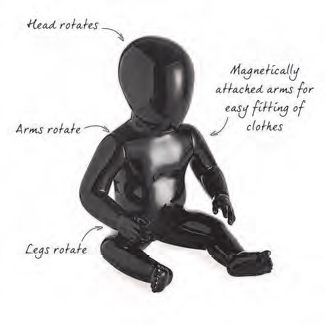 Both mannequins have added practical qualities such as fully adjustable arms and legs, for easy positioning, as well as magnetic arms which allows simple removal and attachment of arms. This is ideal when time is of the essence - by removing these sections changing tops can be done easily and in a more flexible way. These adorable little mannequins will not only melt the hearts of any passer-by viewing trend-setting fashions, as with the entire Shopfitting Warehouse range, they will add a stylish and professional touch to displays in general.